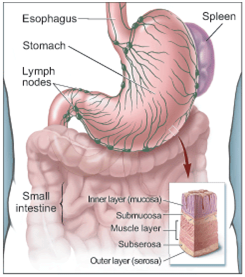 The treatment of gastric cancer is mainly surgical. Chemotherapy and radiotherapy may be used in adjuvant setting depending on the stage of the disease. In most of the countries except in countries where screening for gastric cancer is performed, the disease is detected late. This is due to lack of specific symptoms associated with the condition. Curative surgery: According to Japanese Gastric Cancer Treatment Guidelines 2010, a curative surgery by definition needs a proximal margin of at least 3 cm for T2 or deeper tumors with an expansive growth pattern (Types 1 and 2) and 5 cm for those with inﬁltrative growth pattern (Types 3 and 4). When this is not feasible it is advisable to examine the proximal resection margin by frozen section. For fundic tumors invading the esophagus, a 5-cm margin is not necessarily required, but frozen section examination of the resection line is desirable to ensure an R0 resection. For T1 tumors, a gross resection margin of 2 cm should be adequate. When the tumor border is unclear, preoperative endoscopic marking, by clips or tattooing is advisable. Standard gastrectomy: Standard gastrectomy is the principal surgical procedure performed with curative intent. It involves resection of at least two-thirds of the stomach with a D2 lymph node dissection. Standard gastrectomy for clinically node positive or T2-T4a tumors are total gastrectomy or distal gastrectomy. In some cases without node positive or T2-T4a pylorus-preserving gastrectomy and proximal gastrectomy may be performed. Total gastrectomy is unavoidable if pancreatic involvement requires pancreatico-splenectomy, greater curvature tumors and cases with nodal metastasis in level 4 near spleen (4sb) even if primary tumor can be removed with distal gastrectomy. Non-standard gastrectomy: In non-standard gastrectomy, the extent of gastric resection and/or lymphadenectomy is altered according to the tumor characteristics. Modiﬁed surgery: The extent of gastric resection and/or lymphadenectomy is reduced compared to standard surgery. Extended surgery: (1) Gastrectomy with combined resection of adjacent involved organs. (2) Gastrectomy with extended lymphadenectomy exceeding D2. Palliative surgery: This to relieve the symptoms due to the disease. Most often bleeding or obstruction are conditions seen in patients with advanced gastric cancer which need urgent intervenstion. Palliative surgery to relieve symptoms should be considered even for stage IV gastric cancer, provided that the patient is ﬁt. Palliative gastrectomy or gastrojejunostomy may be performed as according to the conditon of the disease. Stomach partitioning gastrojejunostomy has been suggested as a better palliative procedure than simple gastrojejunostomy. Reduction surgery:The role of gastrectomy is unclear in patients with advanced gastric cancer with unresectable metastatic disease in the absence of symptoms such as bleeding or obstruction which would need palliative surgery. The procedure is only investigational. A randomized controlled trial to explore this issue is underway as an international cooperative trial. D2: D1+ Nos. 8a, 9, 10, 11p, 11d, 12a. For tumors invading the esophagus, D1+ includes No. 110, D2 includes Nos. 19, 20, 110, and 111 (These groups are at the esophageal hiatus). In Japan and Korea D2 is considered standard of care. However, there is no evidence to support this. There are two european trials (MRC and Dutch) comparing D2 with D1 in randomized fashion. Both these trials were marred by lack of surgical standardization. In these D2 dissection had much high complication and postoperative death rates. This was attributed to splenectomy and distal pancreatectomy that was performed as a part of standard D2 dissection. Some newer trials like the Italian trial which have tried spleen and pancreas sparing D2 gastrectomy and have shown better surgical outcomes. Long term survival in both Italian and Dutch trial seems to be better for D2 gastrectomy. The role of extended lymphadenectomy was studies by Japan Clinical Oncology Group. This was a randomized trial to compare D2 with D3 (para-aortic lymphnodes). However, they found the results to be in favor of D2 surgery. The first laparoscopic gastric surgery was performed in 1992 by Peter Goh of Singapore for a chronic gastric ulcer. 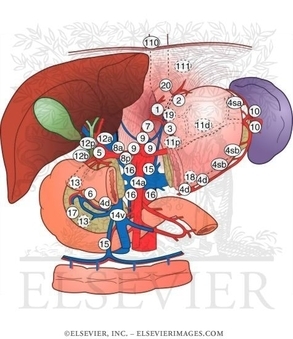 The first laparoscopic wedge resection for gastric cancer was carried out by Ohgami et al also in 1992. In same year Ohashi et al described intragastric mucosal resection for early gastric cancer located in the posterior wall. The first oncologically sound distal gastrectomy with D1+ nodal dissection was reported in 1994 by Kitano et al. Since then various forms of gastrectomies have been performed laparoscopically. The recent advances in techniques and technology has made this possible. Today all the standard gastrectomies for early gastric cancer can performed laparoscopically. Studies have shown that MACS for gastric cancer has obvious advantages of being minimally invasive and has the same short and long-term efficacy as that of traditional open surgery in the treatment of early gastric cancer. The Japanese gastric cancer treatment guidelines have included laparoscopy-assisted gastrectomy as the standard procedure for early gastric carcinoma from 2002. Recently Korean Laparoscopic Gastro-intestinal Surgery Study Group presented the interim results of KLASS trial comparing the short and long-term outcomes of MACS with open distal gastrectomy for early stage gastric cancer. 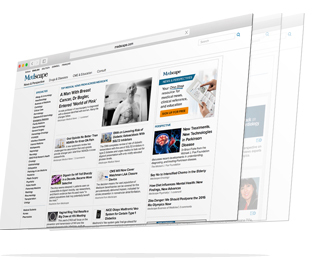 They found no significant difference of morbidity and mortality between open and MACS. This is a large trial (700 patients) with standardization. More than 60% of gastric cancers diagnosed are advanced malignancies (T3/4 and Node positive). With the acceptance of MACS for early gastric cancer some centers have started work on advanced gastric cancers. Technically at present all types of gastrectomies even in advanced can be performed laparoscopically. The results available at present indicate that laparoscopic D2 dissection is safe, with less blood loss than open surgery, and can achieve the same radicalness as open surgery for gastric cancer. At present open D2 dissection is the standard of care as per Japanese guidelines. A recently published Chinese study by Chen et al of more than 1000 patients comparing open with MACS has concluded that laparoscopic surgery is not only feasible but also oncologically safe and has similar outcomes as open surgery. Staging laparoscopy is considered a necessity in all gastric cancers and has been included in most of the guideline for gastric cancer. MACS is considered standard of care for early gastric cancers. However, for advanced gastric cancers open surgery remains the standard of care, with MACS being offered as an option. Japanese Gastric Cancer Association. Japanese Classification of Gastric Carcinoma; 2nd English Edition. Gastric Cancer 1998;1:10–24. Cuschieri A, Weeden S, Fielding J, Bancewicz J, Craven J, Joypaul V. Patient survival after D1 and D2 resections for gastric cancer: long-term results of the MRC randomized surgical trial. Surgical Co-operative Group. Br J Cancer 1999;79:1522–1530. Bonenkamp JJ, Hermans J, Sasako M, van de Velde CJ. Extended lymph-node dissection for gastric cancer. Dutch Gastric CancerGroup. N Engl J Med 1999;340:908–914. Goh PMY, Tekant Y, Isaac J, et al. The technique of laparoscopic Billroth II gastrectomy. Surg Endosc Laparosc 1992;2: 258–260. Ohgami M, Otani Y, Kumai K, Kubota T, Kim YI, Kitajima M. Curative laparoscopic surgery for early gastric cancer: 5 years experience. World J Surg 1999;23:187–192. Ohashi S. Laparoscopic intraluminal (intragastric) surgery for early gastric cancer. A new concept in laparoscopic surgery. Surg Endosc 1995;9:169–171. Kitano S, Iso Y, Moriyama M, Sugimachi K. Laparoscopy assisted Billroth I gastrectomy. Surg Laparosc Endosc 1994;4:146–148. Kitano S, Shiraishi N, Fujii K, Yasuda K, Inomata M, Adachi Y: A randomized controlled trial comparing open vs laparoscopy-assisted distal gastrectomy for the treatment of early gastric cancer: an interim report. Surgery 2002, 131:S306–311. Han HS, Kim YW, Yi NJ, Fleischer GD: Laparoscopy-assisted D2 subtotal gastrectomy in early gastric cancer. Surg Laparosc Endosc Percutan Tech 2003, 13:361–365. Kitano S, Shiraishi N, Uyama I, Sugihara K, Tanigawa N: A multicenter study on oncologic outcome of laparoscopic gastrectomy for early cancer in Japan. Ann Surg 2007, 245:68–72. Uyama I, Sugioka A, Fujita J, Komori Y, Matsui H, Hasumi A: Laparoscopic total gastrectomy with distal pancreatosplenectomy and D2 lymphadenectomy for advanced gastric cancer. Gastric Cancer 1999, 2:230–234. Uyama I, Sugioka A, Matsui H, Fujita J, Komori Y, Hasumi A: Laparoscopic D2 lymph node dissection for advanced gastric cancer located in the middle or lower third portion of the stomach. Gastric Cancer 2000, 3:50–55. Scatizzi M, Kroning KC, Lenzi E, Moraldi L, Cantafio S, Feroci F: Laparoscopic versus open distal gastrectomy for locally advanced gastric cancer: a case–control study. Updates Surg 2011, 63:17–23. Martinez-Ramos D, Miralles-Tena JM, Cuesta MA, Escrig-Sos J, Van der Peet D, Hoashi JS, Salvador-Sanchis JL: Laparoscopy versus open surgery for advanced and resectable gastric cancer: a meta-analysis. Rev Esp Enferm Dig 2011, 103:133–141. Yoshimura F, Inaba K, Kawamura Y, Ishida Y, Taniguchi K, Isogaki J, Satoh S,Kanaya S, Sakurai Y, Uyama I: Clinical outcome and clinicopathological characteristics of recurrence after laparoscopic gastrectomy for advanced gastric cancer. Digestion 2011, 83:184–190. Roukos DH, Lorenz M, Encke A: Evidence of survival benefit of extended (D2) lymphadenectomy in western patients with gastric cancer based on a new concept: a prospective long-term follow-up study. Surgery 1998, 1123:573–578. Di Martino N, Izzo G, Cosenza A, Vicenzo L, Monaco L, Torelli F, Basciotti A, Brillantino A, Marra A: Total gastrectomy for gastric cancer: can the type of lymphadenectomy condition the long-term results? Suppl Tumori 2005, 4:S84–S85. Article in Italian.